Neem pure seed oil is a strong antimicrobial oil that can be used to cleanse and purify skin. It also encourages detoxification and balancing of congested skin. Amour Natural’s neem oil is extracted from the seed of the Azadirachta indica tree, which is native to Southeast Asia. It is extracted by cold-pressing the seed, which is the extraction process that preserves the maximum amount of active ingredients in the oil to make it as therapeutically effective as possible. Can be used neat for warts, fungal nails, and problem areas. For other skincare uses, dilute in a carrier oil at a 5% dilution. Neem seed oil solidifies in cool room temperatures. Neem oil has a pungent aroma. 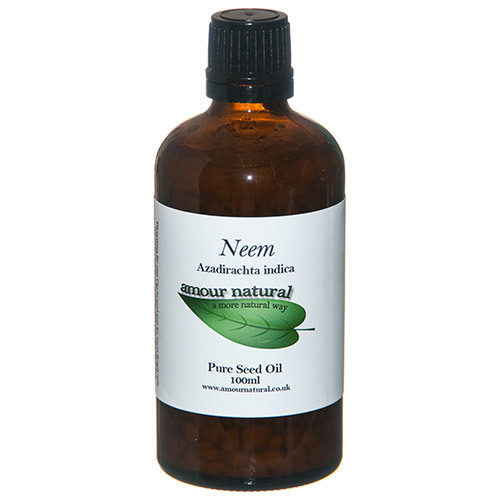 Below are reviews of Amour Natural Neem Pure Seed Oil - 100ml by bodykind customers. If you have tried this product we'd love to hear what you think so please leave a review.